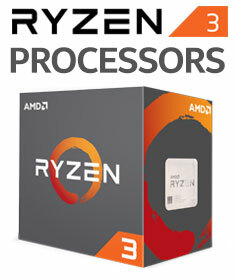 Evetech is delighted to announce the budget-friendly AMD RYZEN 3 range of CPUs for those who want to enjoy the experience of 4 physical cores at groundbreaking prices. 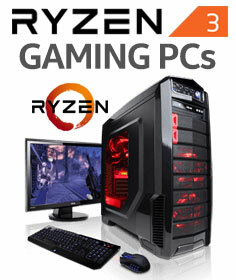 In the market for a complete gaming or workstation PC with budget constraints? Evetech’s full range of custom PCs built around Ryzen 3offers a significant performance lift compared to any other option at this price point! Launch yourself into the latest games, as the combination of powerful CPU and GPU make your experience memorable and immersive. Just need to upgrade an existing PC? We have you covered! 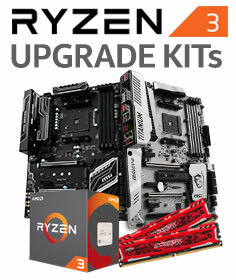 Our Ryzen 3 upgrade kits are built around cost effectiveness and convenience. Simply grab a bundle relevant to your needs, and refresh your PC in no time! Upgrades will never get easier than this. Premium Performance. Power Efficient. Low Prices. That’s a trifecta! 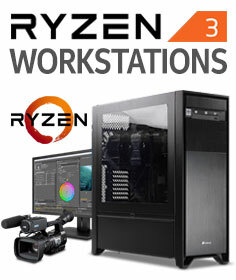 Choose from your AMD Ryzen 3 Gaming PCs, Workstation PCs, and Upgrade Kits to build the perfect rig for your use. On the other hand, if you’re more hands-on – add the standalone RYZEN 3 CPU to your cart today. Shop around Evetech for a motherboard and DDR4 memory of your choice to accompany your spanking new processor!